Getting ‘Error checking for update.’ everytime progam starts. What is the IP used for update? To check if I am causing the problem maybe. How do we uninstall this? I cant play songs anymore. 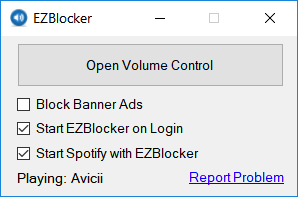 Is this the end for EZBlocker?